Each hurricane season there are approximately six hurricanes. These severe storms can result in extensive damage and put your aging parent at serious risk. Because this and other forms of severe weather can occur very quickly and sometimes with little warning as to their severity, it is extremely important that your elderly loved one is as prepared as possible to handle this situation and get through it in the best way they can. If you haven’t done so already, now is the time to construct a solid hurricane preparedness plan. If you have boats, plan ahead for proper storage, maintenance, etc. There are many steps people should take to prepare for severe weather, from putting together a supply kit to mapping out evacuation routes. For elderly adults, however, it is important to take additional steps in order to ensure their special needs are handled effectively during a severe weather situation. While each individual may have unique needs, here are a few basic tips to keep you and your loved ones safe this season. If your parent needs to have special equipment or mobility aids with them should they evacuate, make sure everything is labeled with their name, address, and phone number, as well as your phone number. This will ensure if their equipment goes missing, it can be returned to them more easily. 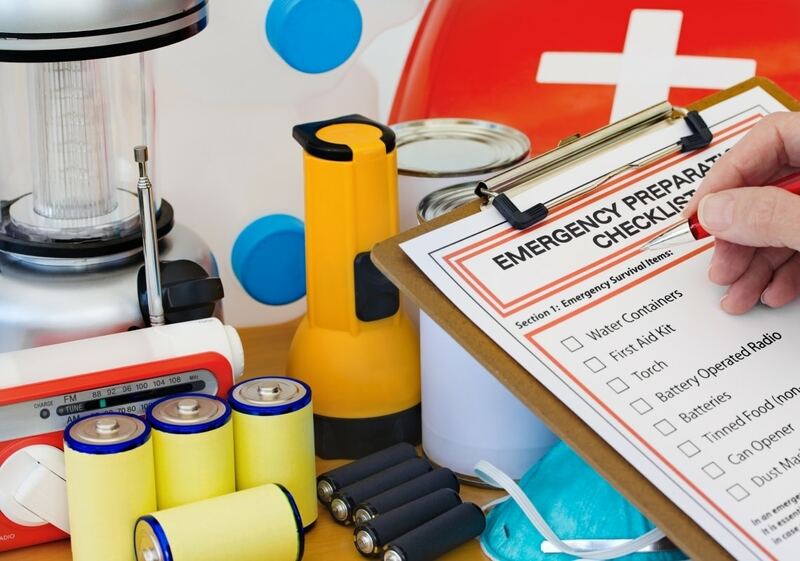 Having a supply kit is one of the most important things your parent can do to prepare them for severe weather. These supplies should be stored in an easily accessible location so your parent can get to them as quickly as possible in the event of a storm. Keep these in an easily movable container or two, such as backpacks, duffel bags, or a box with wheels, so your parent can bring them into their main living area or take them with them during an evacuation. If your elderly adult is unable to evacuate their home on their own, reach out to local emergency authorities. They can tell you who to contact for assistance in the event of an evacuation order. This can include coming to your parent’s home and help to remove them from their home. Also look for a shelter that is properly equipped to handle your parent’s needs, such as wheelchair accessibility or access to medical care. You can never be too cautious when dealing with natural disasters and it is never too early to begin preparation. As described by LSU AgCenter, much of the damage and loss of life associated with hurricanes can be prevented or reduced by planning, preparation or evacuation. Going through an emergency such as severe weather can be an extremely upsetting and stressful situation for anyone, but can be particularly challenging for your elderly parent and for you as their family caregiver. Whether they experienced only minor damage or there was devastation, your parent will likely go through emotional and other consequences well after the emergency ends. Helping them cope with the aftermath of an emergency is an important step in helping them to move on, and ensuring that they remain as safe and healthy as possible as they age in place. Ensure they have support. Additional companionship, care, and support after such an emergency is an important part of helping you parent feel secure and confident so that they can start working through their emotions and get through the situation in the best way that they can. Seek out support in the form of support groups, friends and family, and even additional care from a senior home care services provider. Review the damage first. If your aging parent needed to evacuate their home during the event, do not return them until you have gone to their home and reviewed the damage. This will allow you to handle any immediate fixes that you can, as well as to prepare your parent for what they will encounter. Talk to them about it. Let your parent know that it is alright that they are going through an emotional response to the situation. Be there for them and let them express what they are going through, talk about their fears and worries, and any other emotions that they might be struggling with. Help them to work through these emotions and to understand that what they are going through is normal and that it will get better. If you have been looking for ways to help your parent achieve and maintain a higher quality of life throughout their later years, or feel that your caregiver efforts are not fulfilling their care needs in the way that they deserve, now may be the ideal time for you to consider starting senior care for them. A senior home care services provider can be there with your elderly parent on a fully customized schedule that ensures that they will get all of the care, support, and assistance that they need, while also keeping you at the forefront of their care. In your role as their family caregiver, this can give you confidence that any care gaps that exist in the efforts that you give them will be filled effectively and that your parent will be able to stay happy, healthy, active, and engaged as they age in place. Lastly, please remember neither you nor your loved one has to be alone during a storm. Sonas Home Health Care can arrange a safe, qualified, and experienced caregiver to provide assistance before or during a storm. When it comes to their safety, knowing your elderly loved one has a care provider with them can give you tremendous peace of mind. From fall risk to security, having the dedicated care of this care provider can help your parent to avoid potential dangers and engage in a more active, fulfilling lifestyle as they age in place. Don’t wait until it is too late! Whether you decide to stay in your home or relocate to a shelter, do not go alone. Let Sonas Home Health Care assist you every step of the way. If you or an aging loved one are considering home health care services in Florida, contact the caring staff at Sonas Home Health Care. Call today (888) 592-5855.